Good news for people who have difficulty accessing the sea. 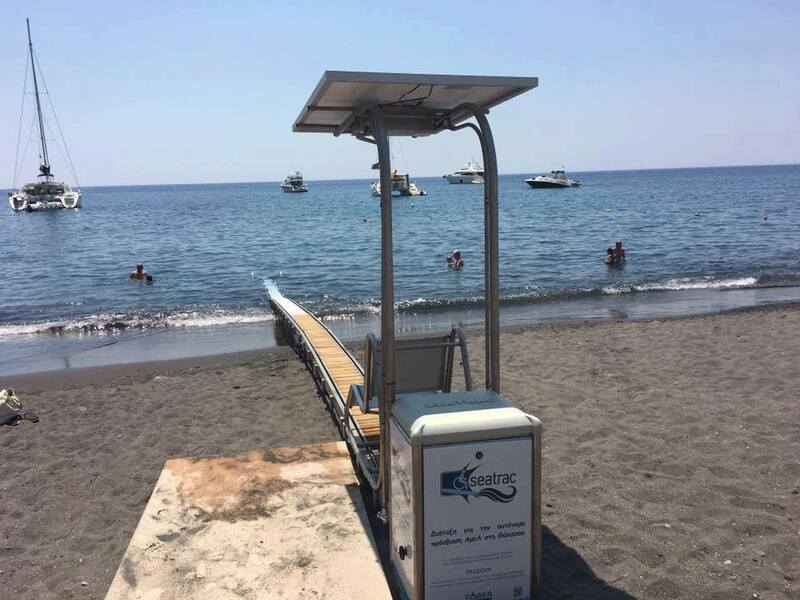 SeaTrac, an auxiliary utility which can be used by persons with kinetic disabilities or limited mobility, is available at Perissa Beach in order to facilitate their access to the sea. 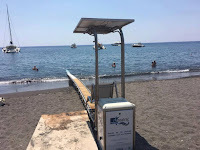 SeaTrac is located at the very beginning of the beach and for the convenience of those who wish to use it, GEOTHIRA has installed a special locker room for people with disabilities as well as special signs for parking near the wooden ramp. For information on the availability of remote controllers, please contact GEOTHIRA offices at working days and hours (8: 30-16: 30) Tel: 22860-23021.